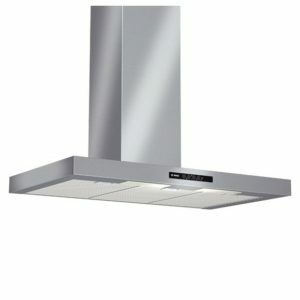 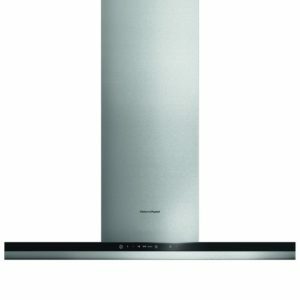 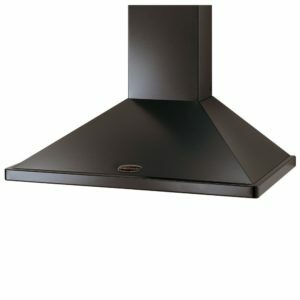 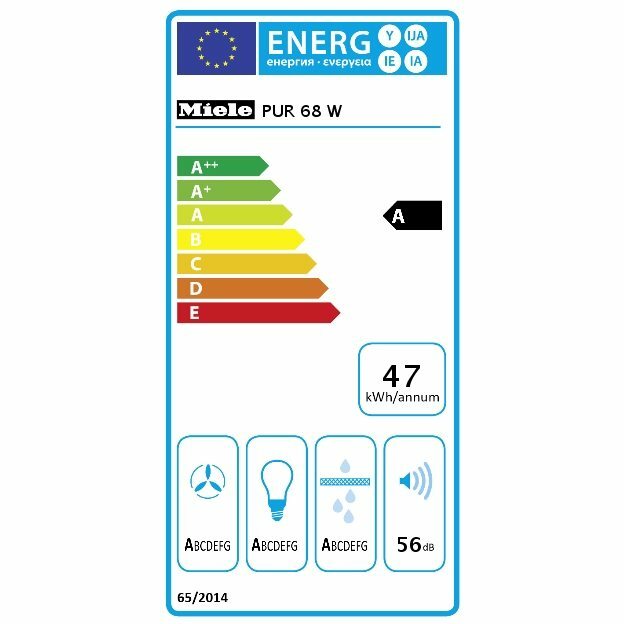 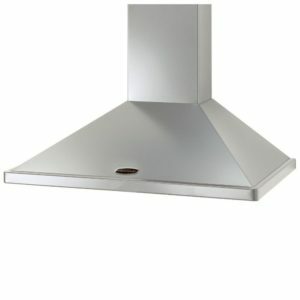 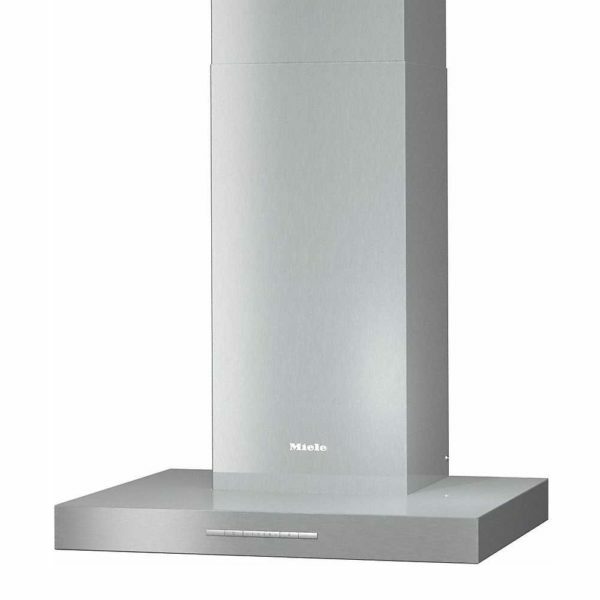 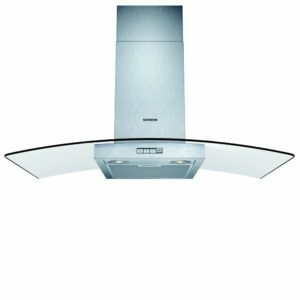 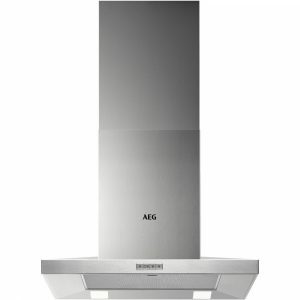 This superb chimney style cooker hood from Miele is 60cm wide and boasts a 395m³ per hour extraction rate. 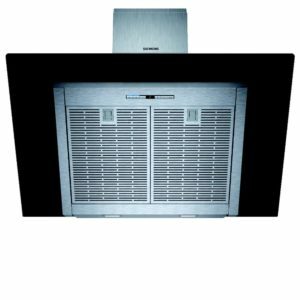 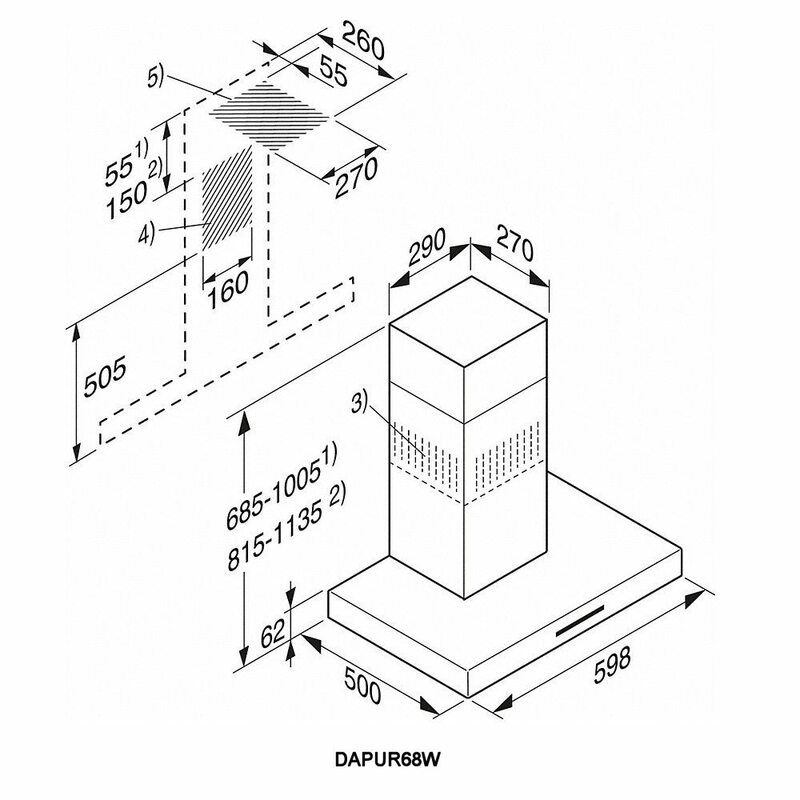 It is designed to be ducted through an external wall but can also be operated in recirculation mode with the use of optional charcoal filters. 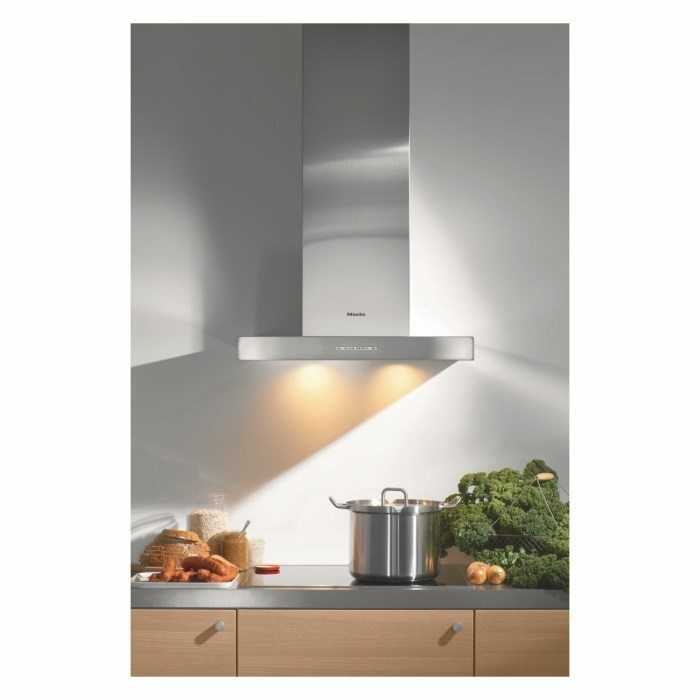 Finished in stainless steel it will create a real focal point in your kitchen.